From MAMEUIFX 0.167 we currently support 5 different shaders. Here are some pics of them in use. NOTE: I'm using an LCD monitor and I have enabled "Widescreen Stretch" option. Also, I disabled curvature in the shaders to better show the final result. Though I'm a fan of this "flat" monitor effect and I currently use it to play games. The game used for tests is the well-known Black Tiger. 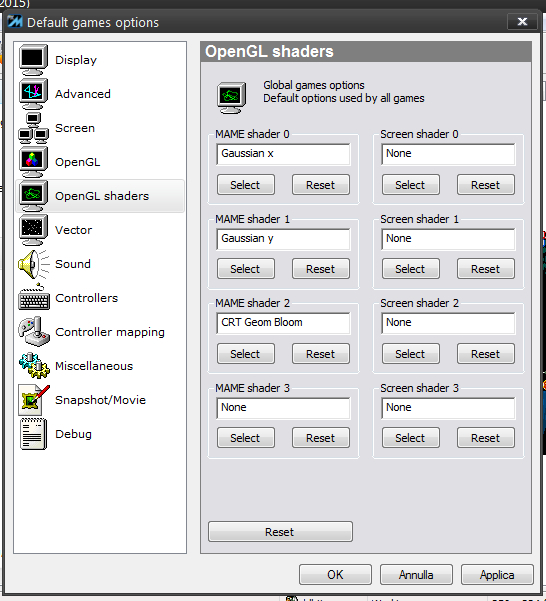 All shaders have also their "Vertical" version which have to be used with Vertical oriented games. That's all, feel free to post comments, questions, etc. 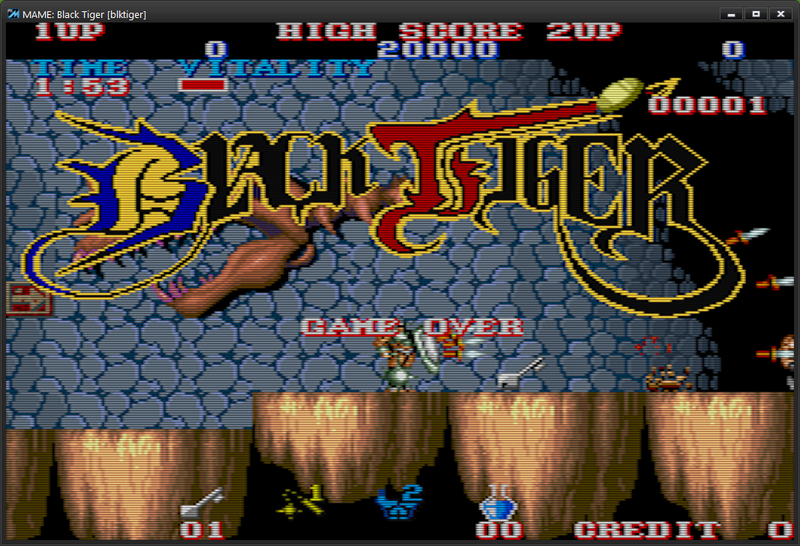 Mamesick, how do I completely remove the scanlines shader? On what line of sahder .vsh should I set? I don't know what are you meaning... scanlines in the shaders cannot be disabled, they are the main feature of them. If instead you have an effect enabled that overlays the shaders, go to "Advanced" tab of options and click "Reset Effect". then Apply and Ok.
Hello Mamesick! See this image the crt-geom, does not have the correct curvature of the two sides. The right side of this unequal to the left! This happens in all vertical games. The horizontal are perfect! What will be what happens in vertical? Verify that vec2 is the same as above, otherwise correct it. This bug doesn't happen with the shaders I distribute. Though I know there are places where it's possible find modified versions of CRT GEOM and LOTTES CRT that are buggy. Thank Mamesick, now it's all perfect! Mamesick, it is possible to remove these artifacts (effects) that are on the lines of scanlines? Thank you! I guess no. I don't know what should be changed in the shader. Really. Sorry. Hi Mamesick how I can disabled curvature ??? #define CURVATURE // comment out this line, if you dont want curvature and if you want a FLAT CRT.